Last year, I wrote a post about “last times”. In it, I reflected on the sadness that I feel when participating in “last time” events with my kids. 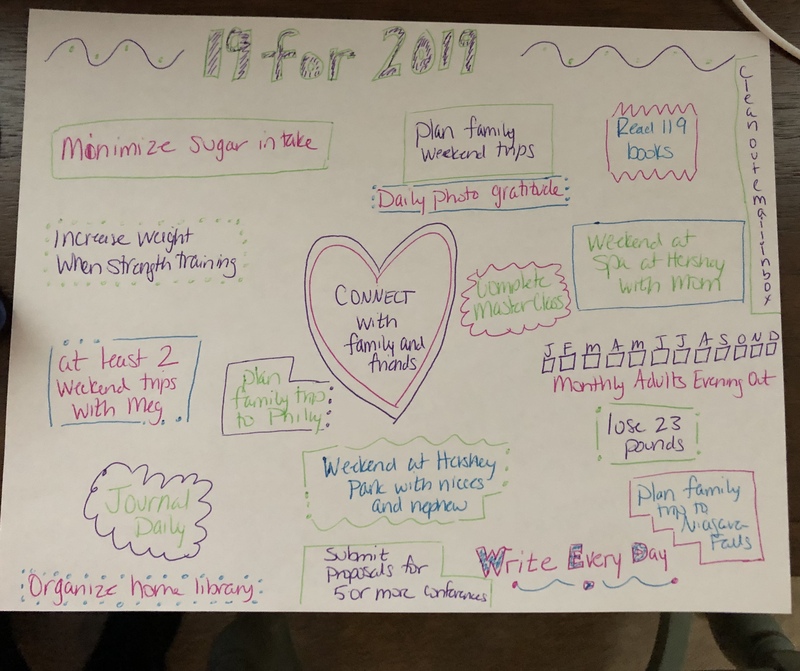 A few weeks ago, I developed a visual of my 18 for 2018. One of the items on my visual is “Family Fun Friday Night” once a month. That is one of my ways to make sure that as the kids get older and want to start doing things with friends, that we have one Friday night a month that is for our family. We are each responsible for planning the evening for three different months in 2018. Each person is able to plan Family Fun Friday for their birthday month and then we are randomly choosing the remaining two months. Chloe chose January and last night was our first Family Fun Friday Night! She did a great job in planning. She decided that we were going to have an evening in and she told us that we needed to wear our pajamas (my kind of girl!). Then, we had game night. She had us play three different games, and even though her brother complained about having to spend so much time with us, I think that he secretly enjoyed himself, too! Our schedules are so crazy these days, and my friend Donalyn Miller once said that we make time for what is important — she was talking about reading, but I have a feeling she will agree that family is important, too! It is with that attitude that I wanted to create something where the four of us set aside the outside world for a few hours and just concentrated on bonding as a family. Our first evening was a success! Clark is in charge of planning the February evening, because February is his birthday month. I can’t wait to see what he has in store for us!